So hot and funny at the same time! Long and drawn out. Narrators were good. Overall just an okay listen. Not something that I just had to get back to in between listens. Born to a Las Vegas showgirl, fashion designer Faith Fitzgerald's childhood was not easy, until her father found her and whisked her off to L.A. to join his wealthy family. She works hard, never letting her guard down, until she discovers that someone stole her designs and sold them to her competitor and former mentor. To catch the thief and salvage her collection, Faith turns to her ex-lover, a man who works under the radar and gets results fast. The problem is she has not seen him since she dumped him so unceremoniously. Would you try another book from E. B. Walters and/or Valerie Gilbert? I would try another book for both but Valerie needs to be in a studio and not in the bathroom with the window open on a busy street. What other book might you compare Dangerous Love to and why? Can't think of any other book to compare its to but listened to the previous book and Valerie was in the same bathroom on the same busy street while narrating the book. Sounded as though she was reading the book from the bathroom. Quality was bad. 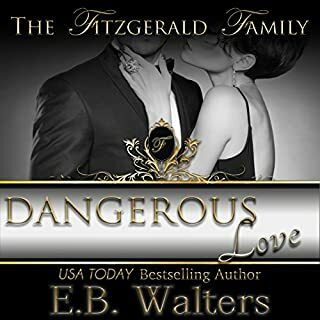 Did Dangerous Love inspire you to do anything? The leading lady for me was extremely annoying. She was not believable . I was so irritated and was tempted to fast forward when the character on what I call tangents. What was most disappointing about Lora Leigh’s story? I typically really like Lora's stories, this one was just ok for me. The story line was kinda weak not a lot of depth. Did Clarissa Knightly do a good job differentiating all the characters? How? Could you see Secret Sins being made into a movie or a TV series? Who should the stars be? I felt compelled to write a review for this book due to how annoying the leading female character was. 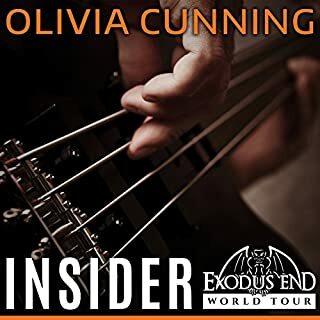 Where does Shades of Gray rank among all the audiobooks you’ve listened to so far? 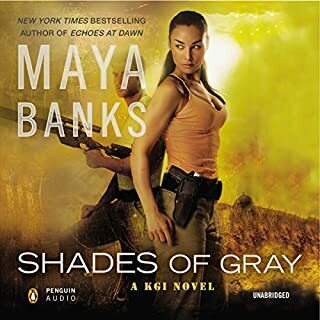 I love Maya Banks and this series so I am a fan. It was good. What was one of the most memorable moments of Shades of Gray? When PJs nurse friend said friends bail you out of jail and good friends are sitting there next to you in jail. The exchange with her and Cole I enjoyed. After listening to Harry on all the other books, the new narrator took some getting used too. I don't think I ever got used to it. Most of the voices were alright but Steele sounded like Larry from the Bob Newhart Show and I found it comical. Would you try another book from Lora Leigh and/or Clarissa Knightly? 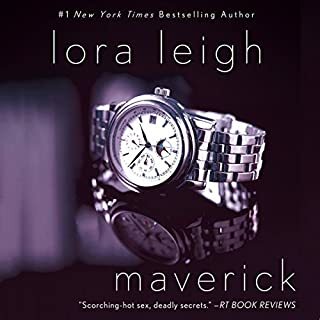 I listen to a lot of Lora Leigh's books. Will listen to both again. Okay. Wildcard ending was better. You could tell the characters apart but Risa in ecstasy was annoying, whiny after a while just wanted her to be done.Other characters were good. Did Maverick inspire you to do anything? I really enjoyed the pace of this book, the characters, and the erotica. I enjoyed the fact that the book had a plot and also the funny moments I actually laughed out loud. This was my first book of hers and I immediately purchased and listened to all the others in this series. I am now a fan.